Flir's first home security camera boasts an impressive array of features, but bugs hold it back from greatness. Flir is best known for building thermal cameras that help users detect household problems such as pest infestations and leaky pipes. Flir FX is the company’s first home security camera, and at $200 it’s priced to compete with the Nest Cam—successor to the popular Dropcam Pro—and other DIY models such as Simplicam, Netatmo Welcome, and Logi Circle. But Flir FX has ambitions beyond home security. 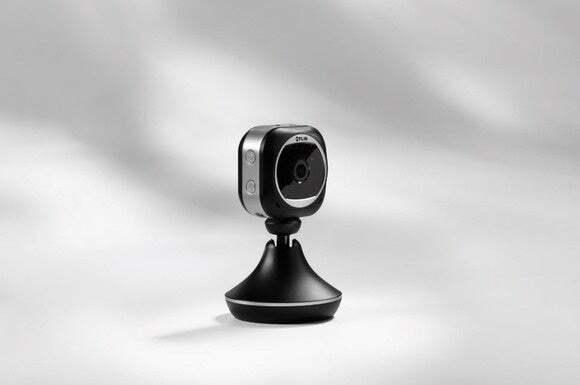 If you’re willing to spend extra for the appropriate accessories, the modular camera can also can be retrofitted as an outdoor surveillance camera, a GoPro-like action camera, or a dashboard cam. We only tested it in its indoor surveillance capacity, and it impressed with its array of features. But it has some some hurdles to overcome before it’s ready to contend in an already crowded crowded DIY security category. The utilitarian Flir FX comes on a detachable stand, and its power cable can be connected to this base or directly to the camera. Two internal batteries—one in the camera and one in the stand—combine for up to four hours of juice, allowing you to untether it for more mobility or to capture security footage in the event of a power interruption. You can also order the Flir FX in an outdoor configuration for $250 (a $50 premium over the standard indoor model). As is becoming more common in this increasingly competitive category, Flir FX can record video in 1080p resolution–though it streams in 720p—and it offers a generous 160-degree viewing angle. It’s equipped with an integrated mic and speaker for two-way audio, and it has infrared “night vision” up to about 30 feet for operation in low-light indoor conditions. Flir FX can detect sound, not just motion, and you can set it up so that either event type will trigger a video recording. To reduce false alerts, the Flir FX app employs Flir’s SmartZone technology, which lets you designate monitoring areas on a grid that overlays the video. Movement in one of these zones will trigger a recording and push and alert to your mobile device; any motion outside the specified area will be ignored. The system’s other compelling feature is Rapid Recaps, which can condense hours of footage into an activity highlight reel. 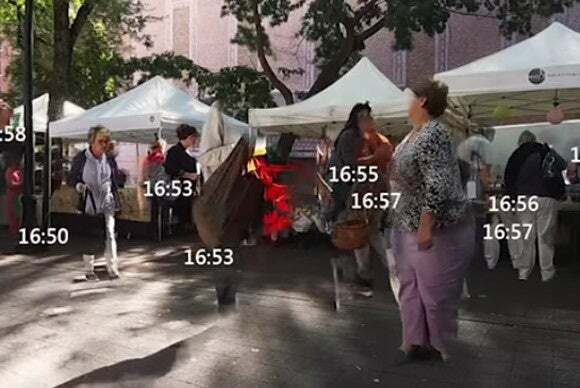 Rather than a time-lapse digest that presents a linear chronology of events, Rapid Recaps compiles all motion activities within a time frame you specify and compiles them into a single video. The result is you view all those individual events at once, with timestamps on each moving object to tell you when it occurred. Flir’s RapidRecap feature can show you the events it recorded over a period time, with timestamp overlays on each event. All recorded footage can be saved locally to an SD card or stored in the cloud via one of Flir’s subscription offers—and you must have a subscription plan to create RapidRecaps. Flir FX includes complimentary access to Free Cloud Basic, which gives you 48 hours of video storage and three RapidRecaps per month. FLIR Cloud Plus and FLIR Cloud Premium extend storage to seven days and 30 days for $10 per month and $20 per month respectively. Both of these plans come with unlimited RapidRecaps. If you want to use Flir FX to capture your extreme sports adventures—terrestrial or underwater—be prepared to shell out an additional $70 for Flir’s sport camera case. To use it as an in-car camera, you’ll need the $40 dashboard mount. The outdoor model, meanwhile costs $250. Setting up the Flir FX hardly went smoothly in my tests. The first camera Flir provided me wouldn’t power on, and, after they determined they may have shipped me a pre-production unit, they sent me another. This one powered on initially, but I couldn’t complete the setup process, which involves scanning a QR code on the bottom of the camera and connecting it to your Wi-Fi network. Despite about a half-dozen attempts following the in-app prompts, I couldn’t get the app to recognize the camera. Shortly after, that camera also stopped powering on and I was never able to revive it despite troubleshooting help from representative from Flir’s engineering group. Third time’s the charm, though, and after Flir sent me yet another unit, I got the camera up and running. Even when the setup went as designed, however, it wasn’t as plug-and-play as other security cameras I’ve tested. The camera must first charge for about 20 minutes, and the connection process requires you to switch back and forth between the Flir FX app and your device’s Wi-Fi settings. Altogether, it was about a half an hour between unboxing the camera and getting it online. 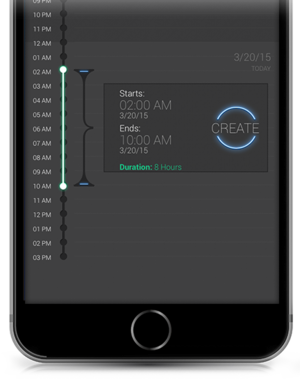 Using a scrolling timeline, you can select hours of footage to be compiled in RapidRecap video digest. When you’re within 500 feet of your router, Flir FX gives you direct Wi-Fi access to your live feed and videos on SD card. Beyond that range, the connection switches over to Flir’s cloud servers. In practice, the transition is seamless. I noticed no difference in connection quality; whether I was home or out and about, the feed was smooth and the audio was clear. Positioned atop the entertainment center in my living room, the 160-degree lens gave me a view of almost my townhome’s entire downstairs with no image bending. Streaming video was periodically pixelated and choppy, usually when something or someone was moving quickly through the frame, but the recording of that event would be sharp and smooth. Night vision made the image grainier, though, with less tonal gradations, which made it tough to see details in the environment. The Flir FX is accessed and controlled through its accompanying mobile app (Flir says a web portal is in he works). 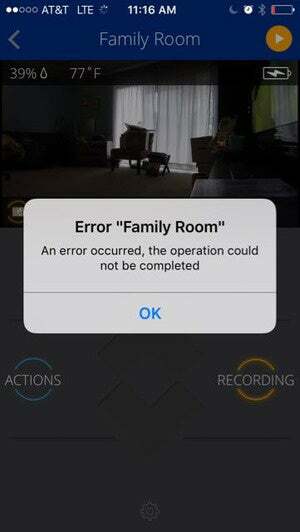 A thumbnail image of the room being monitored appears on the home screen. Tapping the the three-dot “more” menu on a bar above this image opens a drop-down menu with options to create RapidRecaps, view recordings, and turn notifications on and off. The app is fairly intuitive. Tapping the thumbnail image takes you to camera’s live feed. Two buttons appear beneath the feed window: Actions and Recording. Pressing the first opens a radial menu with options to (again) create RapidRecaps, use the mic, take a snapshot of the feed and save or share it, and access settings such as night vision and sound and motion sensitivity. As you’d expect, the Recording button opens its own radial menu from which you can stop and start recording and activate/deactivate sound- and motion-triggered recording. False alarms are inevitable with any security camera, but I was successful in reducing the Flir’s by calibrating the camera’s motion sensitivity. You adjust this using a slide control that ranges from low to high. I found the sweet spot to be right in the middle. I cut down alerts even further by creating a SmartZone that limited the motion-detection area to the front door. With the camera trained on on that space, I was only getting an alert once every hour or two with my family in the house, and that was only when they walked in front of the door on the way to the stairs. Attemptng to configure the camera’s onboard mic too often returned this error message. Sound sensitivity proved tougher to master. Even with it turned all the way down, I was getting “audio event” alerts every few minutes, even with just the pets in the house. I finally turned off sound-triggered recording to save storage space. At one point, I decided to create a RapidRecap of some of the overnight footage I recorded. 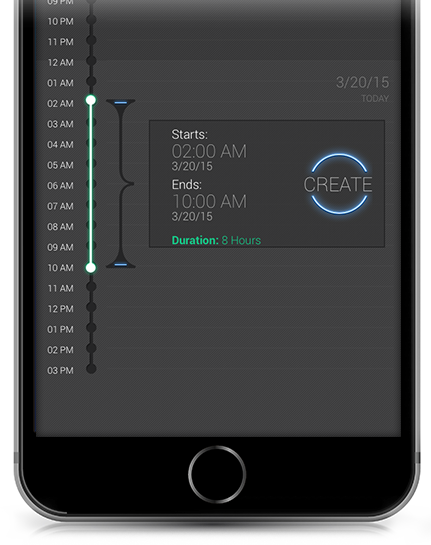 This entails swiping along a scrolling timeline to set the start and end times for the hours you want to capture. Creating the recap isn’t quick; I selected a span of five hours and the recap took a full five minutes to produce. As far as I could see, there was no progress monitor other than a percentage above the RapidRecap icon, which is visible only when the actions menu is open. I did, however, get an alert when the recap was ready. The resulting videos—plural, because RapidRecap breaks the activity up into smaller videos to keep the scene from becoming too busy—combined several events triggered by the family cat’s nocturnal wanderings into a collage of ghostly images of him stalking and leaping over himself. It was an eerie effect heightened by the night vision and floating timestamps. Though it made for curious viewing, the superimposing of asynchronous images over each other made it tough to follow the chronology the footage. While it may be OK for a log of the day’s events, it’s probably not something you want to contend with if you’re trying to provide forensic evidence of a crime to the police. I never did get the mic to work, though. Each time I used it, not only did no sound come from the camera, but the app—including the live feed—froze. Sometimes I’d get an error message, and other times the feed would refresh and the app would start working again. If you’re considering purchasing your first DIY security camera, Flir FX has a lot to like. Its 160-degree viewing angle, double battery, and combination of local and cloud storage outdoes many of its competitors. Its app is well designed and extremely easy to use, and it offers the flexibility to configure sound and motion detection so that it’s accurate without being intrusive. But while it’s a good idea, the daily video recap is implemented better in the Logi Circle’s Day Brief feature than it is here. The mic issue and the hardware problems I experienced with the first two units I was provided also raise some concerns. If you’re willing to weather a new product’s growing pains, you’ll likely love what the Flir FX has to offer. If not, you’re better off exploring the many other cameras on the market until Flir gets some of these issues ironed out. 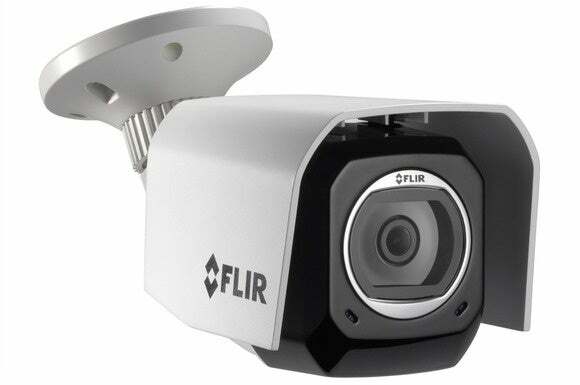 The Flir FX has an impressive array of features, but this home security camera has some some hurdles to overcome before it’s ready to contend in a crowded DIY security category.